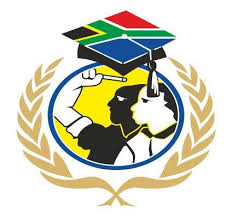 Harsh decision to expel student leader, Mr Mcebo Dlamini through succumbing to the demands of the Jewish funders and alumni interests at the university. In capitulating to the interests of Jewish funders and alumni at the institution, Prof. Habib has in our opinion, rendered himself a puppet who had to sacrifice the academic future of student Mr Mcebo Dlamini on the altar of political correctness. It would be unfortunate if Wits university management now has adopted “Gestapo-type” management tactics of summarily expelling students and staff merely because they hold dissenting views and opinions in this age in our constitutional democracy. We are not merely coming to the defence of Mr Dlamini as a disadvantaged student only but wish to reiterate the principles of fairness and consistency as the white student who urinated on a black man’s face at the University of Cape Town (UCT) to date remains scot-free. In the same breath, the two ‘blackface students’ of the University of Pretoria and the two white students who attacked black students at Stellenbosch University are as free as birds. In all cases there has been no summary expulsion irrespective of the revolting racist conduct displayed by the students. The Network hereby calls on university managers to remain consistent in dealing with acts of wrongdoing by students irrespective of race colour or creed the students. As the Network, we will continue to protect and defend the helpless and vulnerable in society and have accordingly resolved to lead a campaign to reinstate President Dlamini as the Wits SRC President because he has been elected by the majority of students at that institution and was not appointed by Prof Adam Habib. We Encourage those who want to lend a hand of support to make contributions to the “Defend Mcebo Dlamini Fund” for legal costs to mount a strong legal challenge against Wits University in a court of law. Those attorneys and advocates who can avail their services pro bono are welcome, their services will be appreciated. We urge all student leaders across institutions of higher learning and student political formations to unite to Fight entrenched racism in the higher education sector. Ends.